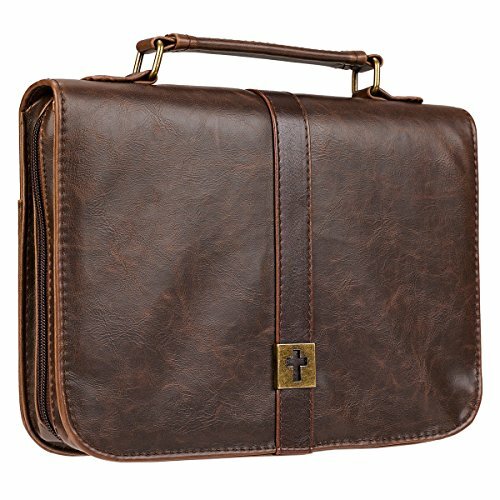 Simple and understated, the Distressed Leather-Look Bible / Book Cover w/Cross Badge appeals to men and women alike. A smooth, deeper brown belting strip creates contrast to the distressed body and displays the antique brass-tone metal cut-out cross emblem. 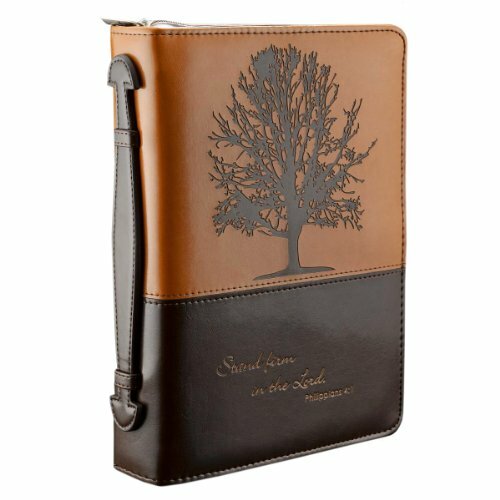 The Bible / book cover is constructed of quality man-made material with the look and feel of real leather (trade name LuxLeather). There is an exterior zipper with a cross engraved zipper-pull, an exterior slip pocket on the back and a suitcase style handle. Inside, a zipped mesh pocket and pen loop offer extra functionality.